Locations: Brett's workshops and trainings are offered throughout the year in different places. Check his Facebook page to see if one is being offered near you soon. Locations: Jonathan's workshops and trainings are offered wherever he is invited or hired by some sponsoring organization or studio. His workshops are usually customized to fit the needs of the sponsoring organization. 1. A one-day very basic introduction to rigging for aerial performance. This is largely lectures, with very limited time for hands-on learning or skills development but sometimes this is the only option. 2. 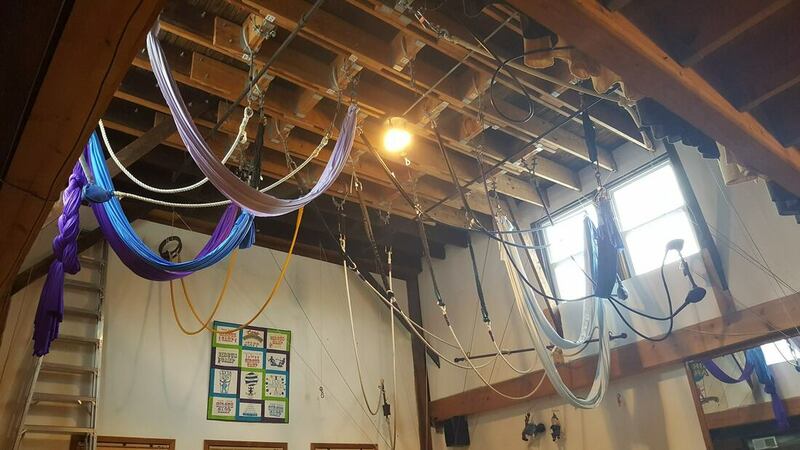 A two-day introduction to rigging for aerial performance, including substantial demo and hands-on components. This is the sweet spot for many organizations, and works well for a group of up to 20 or so. 3. A two-day-or-longer advanced workshop, which assumes knowledge of basic principles and goes from there into more complicated applications. The specifics depend on the need. Note: We'll be updating this list as we are made aware of other excellent rigging trainers across the country. Got a recommendation? Let us know.